Samsung India, the country’s biggest and most trusted consumer electronics brand, today launched Galaxy Tab A 2017 that promises to be your perfect entertainment companion. Galaxy Tab A 2017 is a holistic entertainment device that features a vibrant 8 inches display, delivers high performance with all-day battery life, giving you just what you need for your personal entertainment. 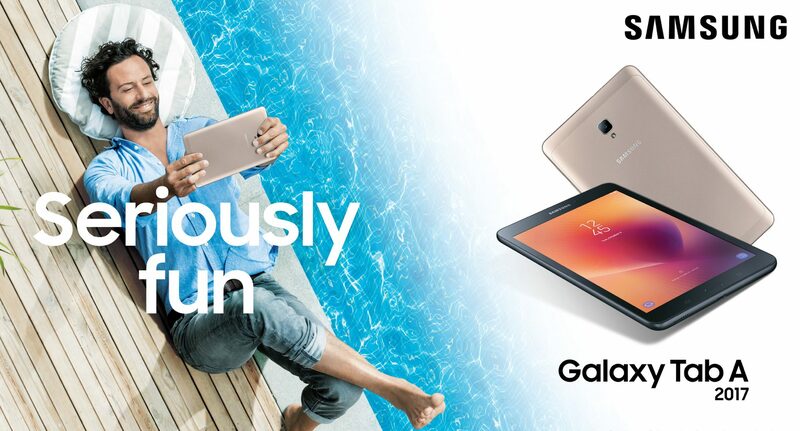 An entertainment power house, Galaxy Tab A 2017 features a brilliant 8-inch 480 nit bright display that brings content to life even when you are outdoors in bright sunshine. Its powerful and long-lasting 5000 mAh battery enables non-stop multimedia usage for up to 14 hours. Galaxy Tab A 2017 is also equipped with flagship feature Bixby Home and enables consumers to find whatever they are looking for, with just a swipe and without having to open a single app. Bixby learns your routine, so you’ll have the right content ready when you need it. By looking for patterns in your app usage by time and location, Bixby can predict what you might be looking for, allowing you to get the most out of your device. “At Samsung, we are always listening to consumer feedback and recognize the need for creating devices and services that fit diverse needs. Galaxy Tab A 2017 is the perfect blend of great display, powerful performance and multimedia experience. It is targeted for consumers seeking a holistic and quality entertainment experience. 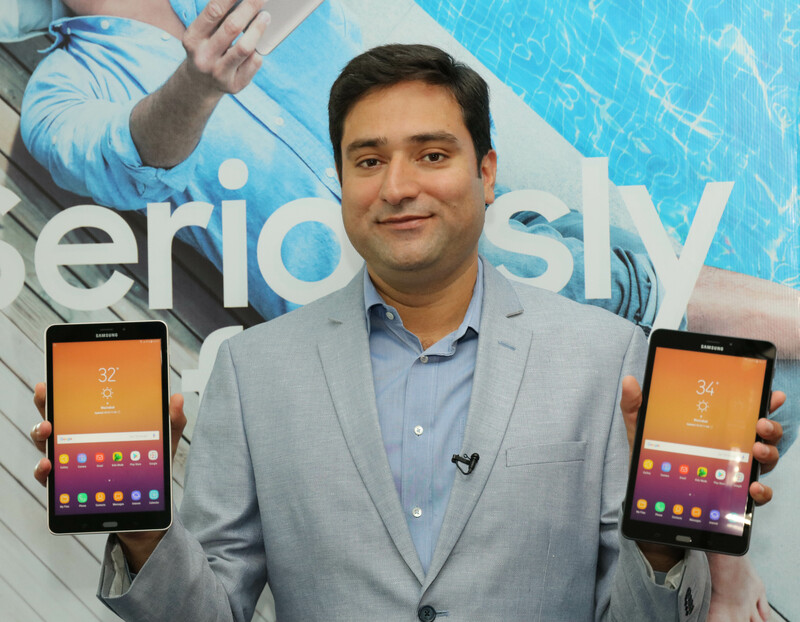 Galaxy Tab A will help us consolidate our market leadership in the country,” said Mr. Vishal Kaul, Director, Mobile Business, Samsung India. The new tablet also comes loaded with Kids Mode, a digital playground that is safe and provides fun-learning experience for children. Kids Mode offers parents and children a library of expertly curated, engaging, educational games, with new content added monthly for a renewed experience. The service allows kids to experience their favorite characters, games and content in a parental-controlled environment where parents can identify specific subject areas for their child to focus and control the amount of time they are using the app. Galaxy Tab A 2017 comes with smooth edges that makes it comfortable to hold, and a metal back that accentuates its premium look. It weighs just 364 grams. This device is equipped with popular features from Samsung stable such as i) Blue Light Filter that reduces blue light emission and helps in a disruption free sleep. 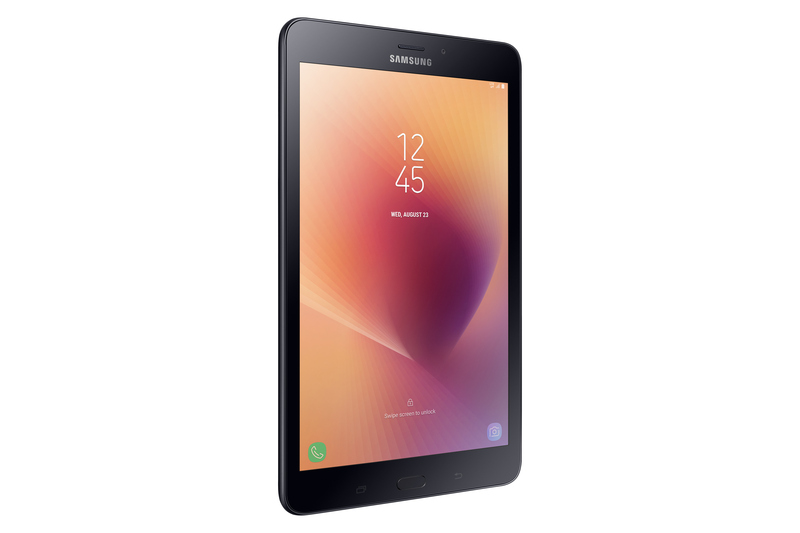 ii) Smart View that enables users to wirelessly connect their Galaxy Tab A 2017 with Televisions and enjoy videos, pictures, or other content on the large screen iii) Samsung Flow that automatically tethers Galaxy Tab A 2017 to other Galaxy devices and seamlessly switch between them. iv) Game Launcher that is the ultimate control center for games. With the Game launcher, You can see all your games in one convenient place, mute alerts while playing, disable other buttons so you don’t accidentally stop the game thereby delivering an uninterrupted and gaming focused experience. Powered by Qualcomm® processor (1.4 GHz Quad), 2GB RAM and 16GB internal memory (expandable via microSD up to 256GB), Galaxy Tab A 2017 runs on Android Nougat out of the box. Not just its performance but Tab A 2017 also makes every moment memorable with its 8MP (f1.9) with LED flash Rear camera and 5MP (f2.2) front camera, that produces clearer, brighter photos. Even in low light, you can take amazing photos thanks to the bright lens and newly added flash. With HDR mode, your photos will be stunning, with a natural balance between the shadows and highlights. Galaxy Tab A 2017 will be available for INR 17,990 and will come in two colours – Gold and Black. It will be available across retail stores starting October 10, 2017. Galaxy Tab A users will get extra 180 GB 4G data over 1 year, courtesy Reliance Jio. Consumers buying Galaxy Tab A before between October 10 and November 9, 2017 are also eligible for one-time screen replacement.